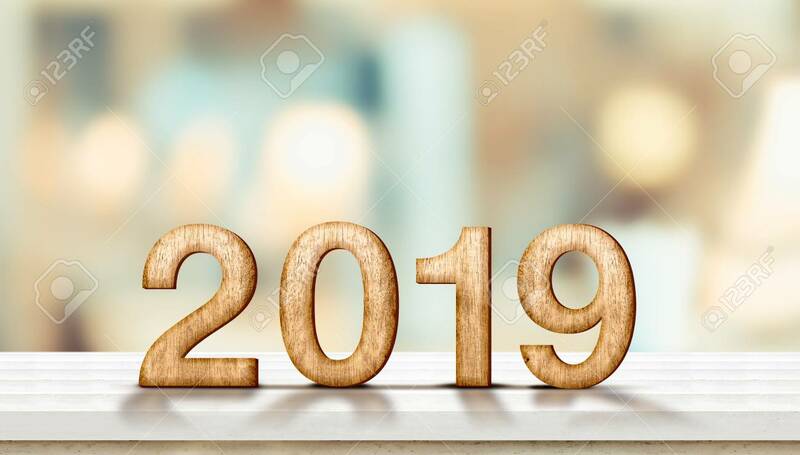 Happy New Year 2019 On Marble Table With Pale Soft Bokeh Wall,banner For Display Or Montage Of Product For Holiday Promotion And Advertise For Online Content. Lizenzfreie Fotos, Bilder Und Stock Fotografie. Image 113445225.